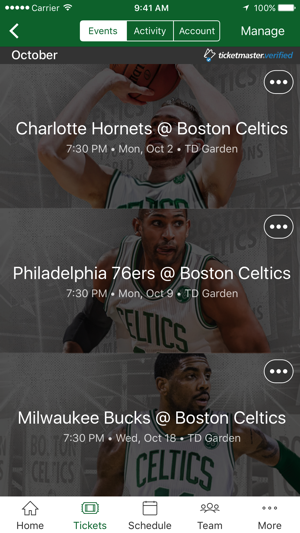 Welcome to the all-new Boston Celtics official mobile app! 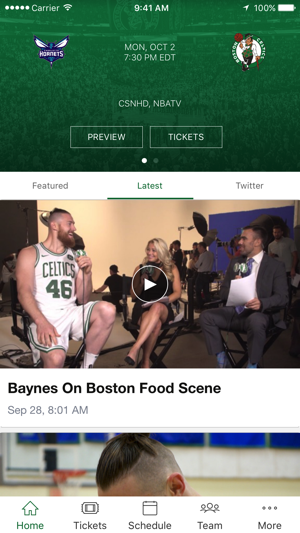 We've rebuilt our official app from the ground-up to give fans a best-in-class mobile experience. Follow the 17-time World Champions with news, videos, photos and more, delivered directly to your device. 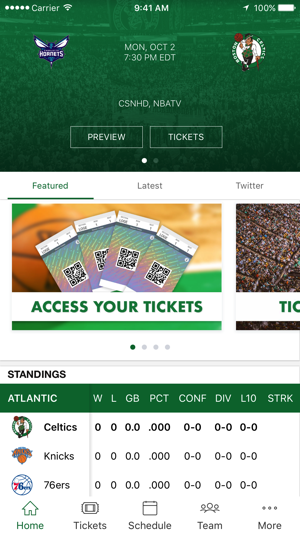 You can use the app to purchase, manage and scan your digital tickets, buy gear and accessories, learn about Celtics players, coaches, legends and dancers, upgrade your seats at TD Garden, listen to live game audio, watch live events and much more, all in one convenient app. • Boston Celtics news, videos and photo galleries. 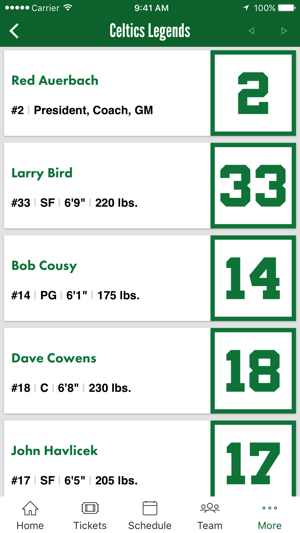 • In-depth profiles of your favorite Celtics players, coaches and legends. • In-arena seat upgrade purchases for a better view of the parquet. • Live audio coverage of all Celtics games. • Real-time play-by-play, statistics and standings. • Live video from press conferences and events. • Push notifications for special promotions, geo-targeted offers, team news and in-game score updates. This app is just not good. When I first open it the home page is blank. Nothing shows up unless I tap the schedule icon. Then I can hit the home icon and see the home page content. Also - I’ll have an icon badge showing multiple notifications but there is no way that I can find in the app what those notifications were about. They also don’t show up in my notifications list so unless I happen to see them pop up live, I don’t see them ever. I assume that is not how it’s supposed to work. The app is most useful for checking scores and following game action - that seems to work okay for me usually. As a season ticket holder I liked being able to see what other tickets sold for in my section so I get a good sense on how much to list the games I couldn’t go to. New version does not allow you to do that. Have to switch to Ticketmaster to see what they are listed at now.